It’s a fact of life: A good night’s sleep is essential to a healthy lifestyle. That said, there’s something keeping many Americans from those necessary hours of rest. It’s not a movie or a book and it’s not a significant other tossing and turning next to you — it’s your phone. A recent Asurion survey* polled 2,000 adults about their bedtime phone habits. 61% of those surveyed said they’ve stayed up past their desired bedtime because they lost track of time while on their phone. 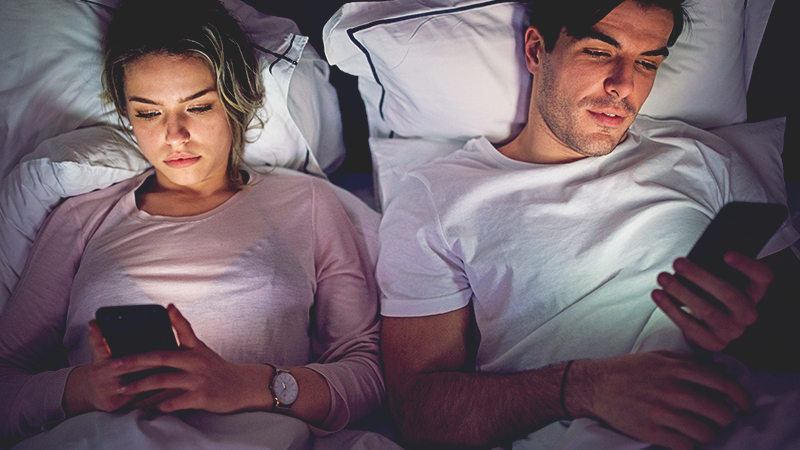 While our devices may distract us from sleep, for many, putting our phones out of the bedroom is not an option. In fact, the same survey found 65% of Americans sleep with their phones on a nightstand near their bed. Here are some tips from our tech experts to help you put the phone away and enjoy some sweet slumber. Did you know the blue light from our phones can keep us up at night? You probably did, but do you know why? Light at night effects your body’s production of melatonin and can throw off your biological clock. You might lose track of time scrolling on your phone, but don’t let it keep you up at night. The solution: Reduce the amount of blue light emitted from your phone. 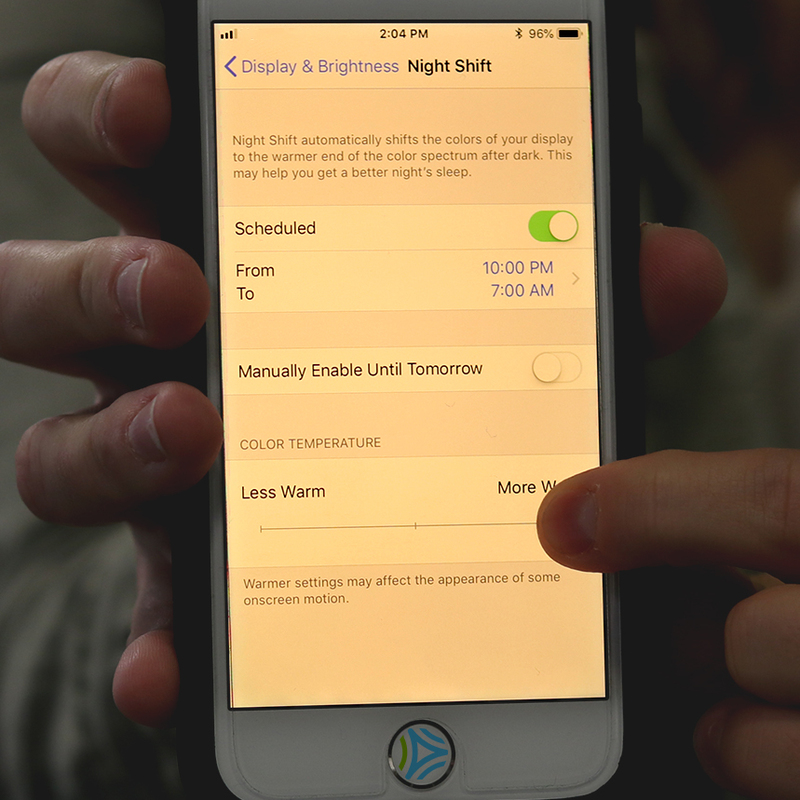 It’s simple: on your iPhone, just go to your Display & Lighting settings and select Night Shift mode. On many Android devices, you can swipe down from the top of your screen and turn on the Blue Light Filter option. Do Not Disturb allows you to focus on counting sheep, not beeps. It disables all sound and visual notifications to allow you to sleep freely through the night. Don’t worry about missing an emergency; a call will come through if the caller calls multiple times. You can also turn on the Do Not Disturb function by swiping to the Control Center and tapping the “Moon” icon. Press the volume down button to vibrate and once more for Do Not Disturb. This will set it to only allow Alarms to sound. Google began rolling out Android Pie in August and among the many new features is one focused on bedtime. Called Wind Down mode, it slowly shifts your phone to grayscale when it’s time for bed, so you don’t end up mindlessly scrolling until midnight. Apple just released iOS 12 in September, and with the new update is a nod to tech-life balance. 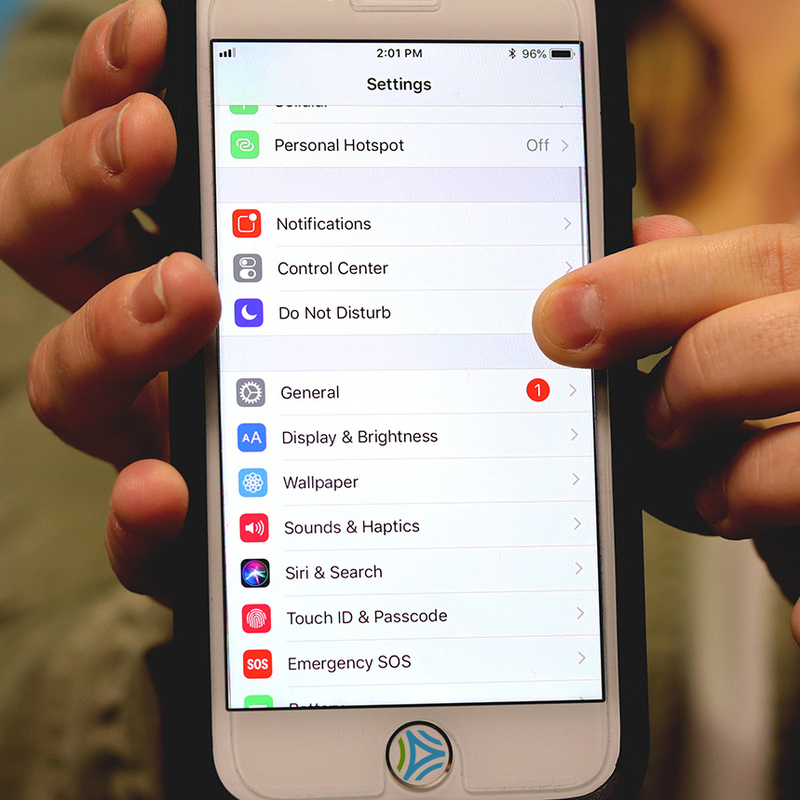 Within Screen Time is a setting called Downtime where you can schedule breaks from your phone. When activated, Downtime grays out all your apps, except for the ones on your Always Allowed list. Want more guidance on how to best use (or not use) your technology? Tech Help is the easiest way to get more from your tech. *Random double-opt in online survey of 2,000 U.S. adults conducted in July 2018 for Asurion by OnePoll, a market research company and corporate member of ESOMAR and adheres to the MRS code of conduct.